Delightful Order: Day 3 of the "Giveaway a Day"
Day 3 of the "Giveaway a Day"
Welcome to Day 3 of the "giveaway a day". Every day this week (until Saturday) I will be offering a different giveaway! I introduced this series on Monday to help celebrate my 2nd year blogging anniversary. 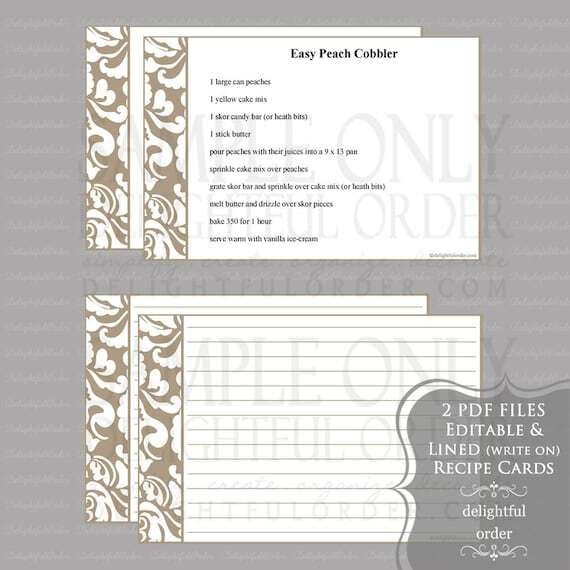 FREE Recipe Binder Printable Package from my Etsy Shop. from my Etsy Shop too!! You can view all the Editable Recipe Cards in my shop HERE. 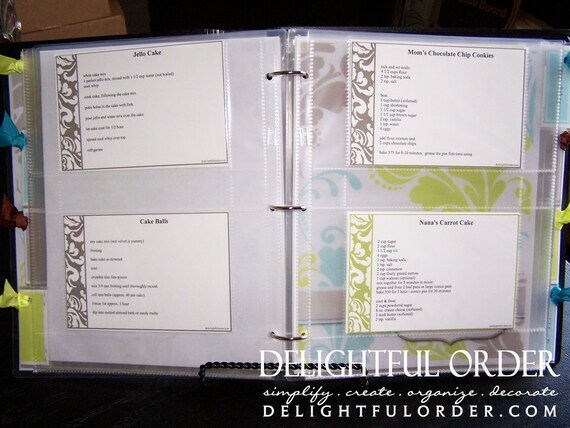 If you missed my post on organizing my favorite recipes, feel free to visit the post HERE. or.. view how I organize my recipe inspiration here. I am a follower on Google... love your blog updates! I am also a fan on Facebook... that's actually what reminded me about today's giveaway. I am super excited about this one!! Pinned on Pinterest - check! I am a follower. I really want one of these. 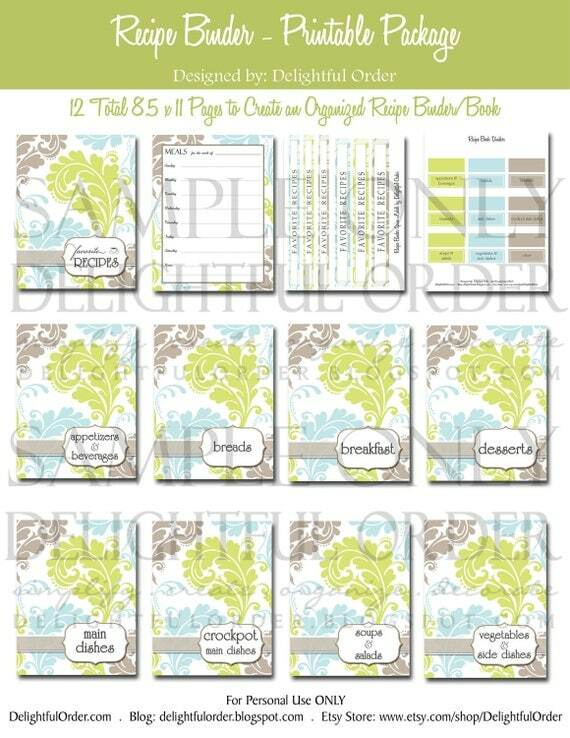 I would love to try to be more organized with my recipes!! 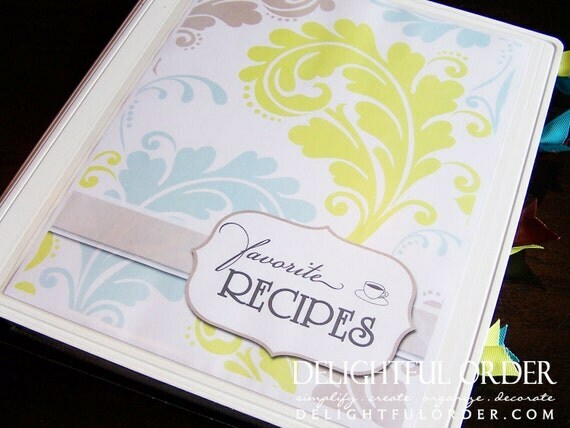 and would love to do it with thses beautiful cards. I linked to your giveaway from my blog! dmcw182@yahoo.com I love ur blog...I hope I win!!! I was just thinking yesterday how I needed to update how I do my recipes. This would be awesome! Google Connect follower - check! My recipes DO need organizing. Twitter follower - check ! Just signed up to be a Google follower. I am a Delightful Order Follower! What an awesome giveaway! Thanks for the chances! I am now a Facebook fan too! I'm a FB fan and a follower!!!! Oh and I follow on twitter and FB! I'm a follower AND I posted it on pinterest. I posted in Pinterest too! I'm a friend on GooglePlus! this is such a wonderful gift... to yourself and then it will be a legacy gift also... I think of those things now that I am with grandchildren.. and my own family has passed before anyone passed down fave recipes!